Credit card fraud rose at an alarming rate in the first three months of the year, data from the Ombudsman of Banking Services revealed. This fraud takes place when scammers obtain details from a credit card holder and then make unauthorised purchases using credit card funds, the ombudsman explained. 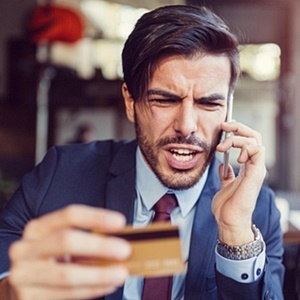 Credit card fraud can take place through online purchases, banking rewards programmes, phishing- a means for fraudsters to obtain credit card details through electronic communications like email, or vishing- a telephonic form of phishing. The ombudsman has provided tips for individuals to avoid getting caught out. 1. Review account statement regularly and query disputed transactions with your bank immediately. 2. For online purchases, only transact with your card on secure websites. 3. Do not send emails quoting your card number and expiry date. 4. Never share personal and confidential information with strangers over the phone. 5. Banks will never ask you to confirm your confidential information over the phone. 6. If you receive a one time pin on your phone to authorise a transaction you are not aware of- it is likely a fraudster – alert your bank and never provide a one-time pin telephonically. 7. Do not click links or icons in unsolicited emails, do not reply to these emails. Delete them. 8. Do not believe the content of unsolicited emails. 9. When accessing your bank's webpage, type in the URL for the bank in the internet browser. Check that you are on an authentic website before entering personal information. 10. If you think your device might have been compromised, contact your bank immediately and request that your account be blocked. Bonus: Create complicated passwords that are not easy to decipher and change them often. If you believe you are a victim of credit card fraud, alert your bank's dispute resolution department. Give your bank 20 days to respond If you are not satisfied with the bank's written response, contact the ombudsman.